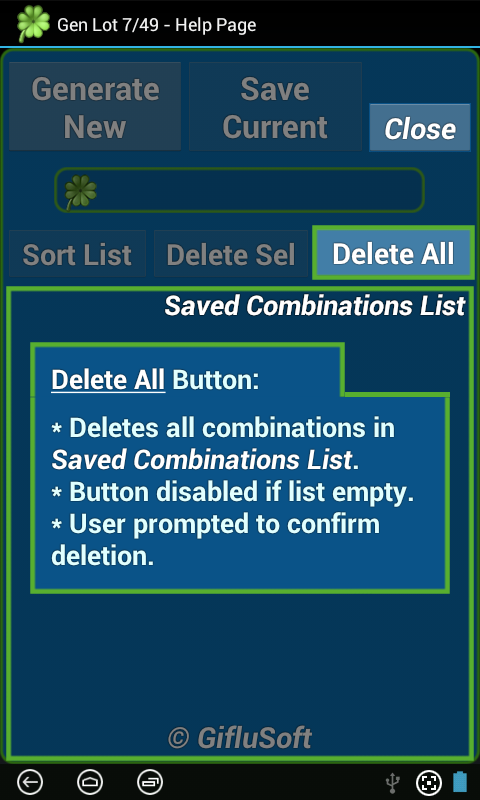 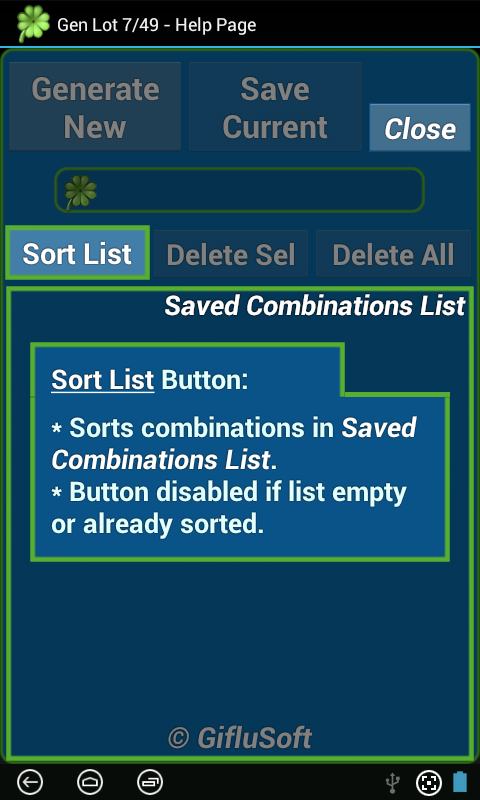 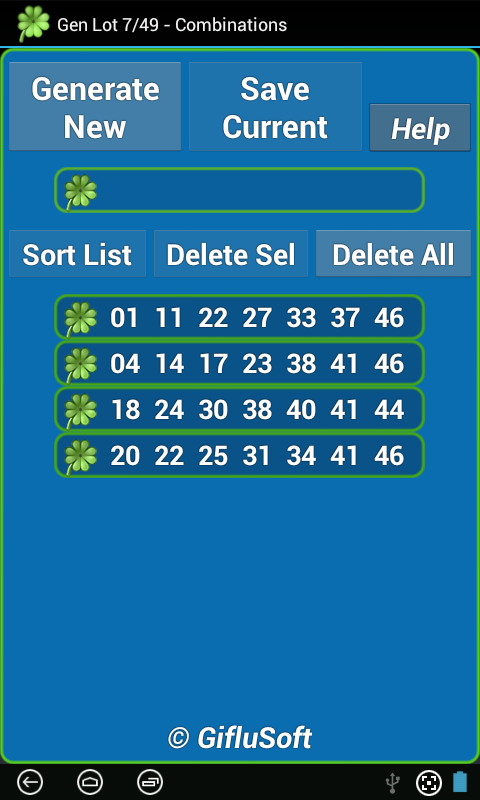 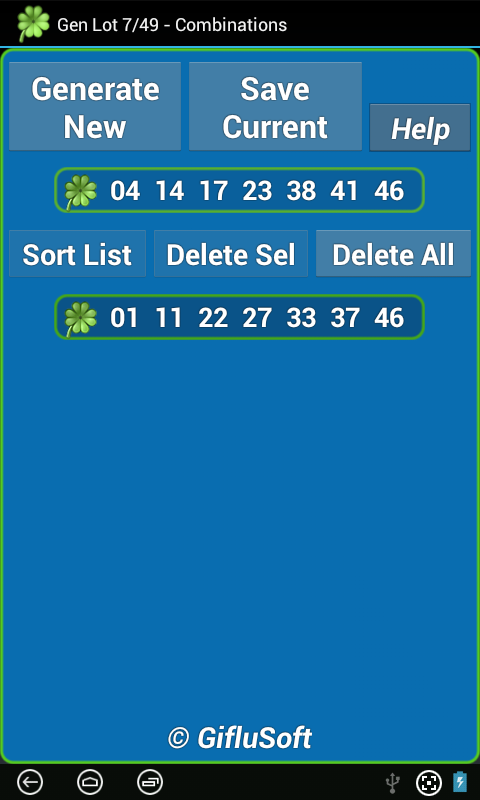 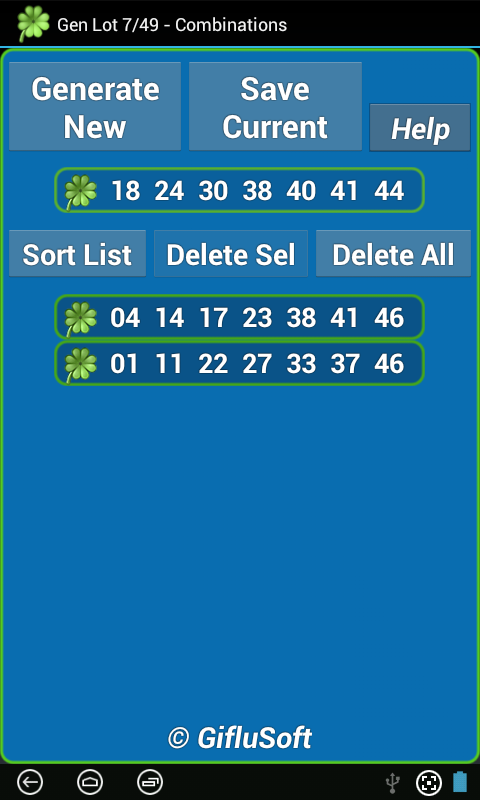 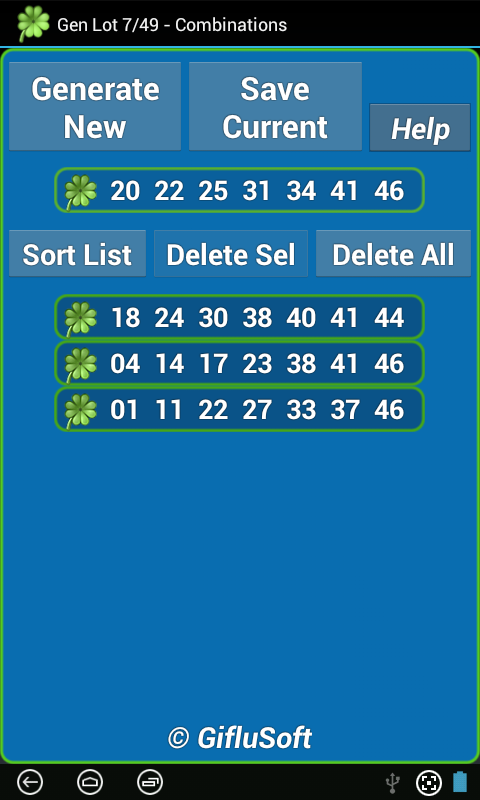 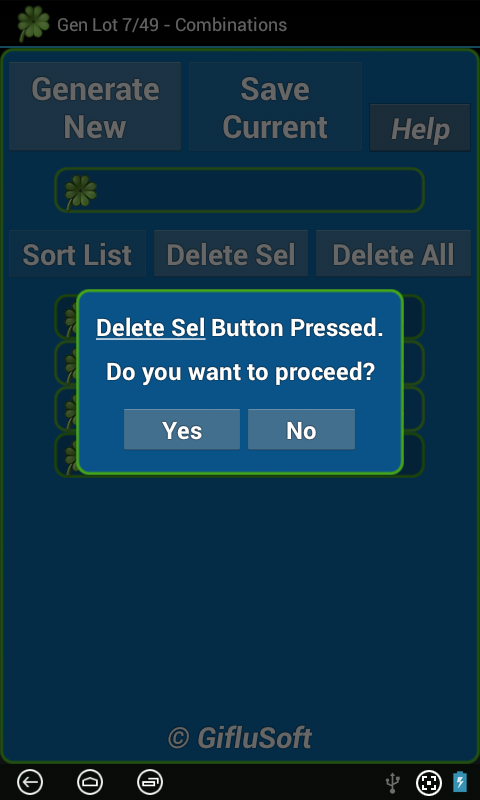 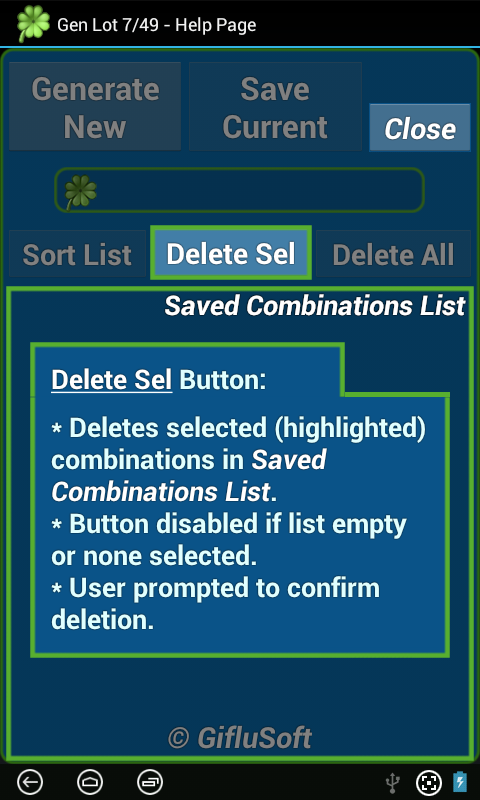 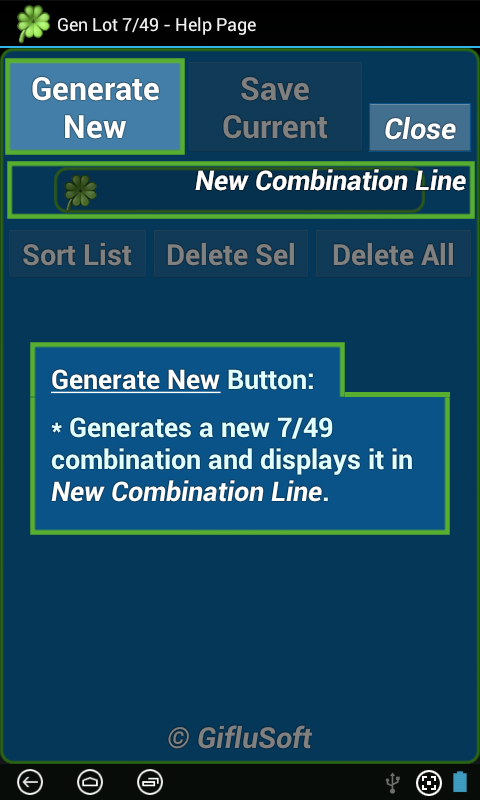 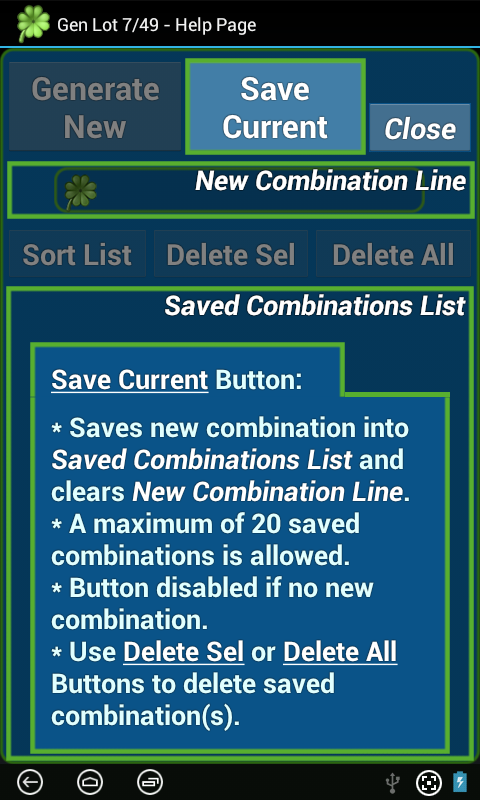 Gen Lot 7/49 is an easy-to-use Android App that can generate and save up to 20 different 7/49 combinations. 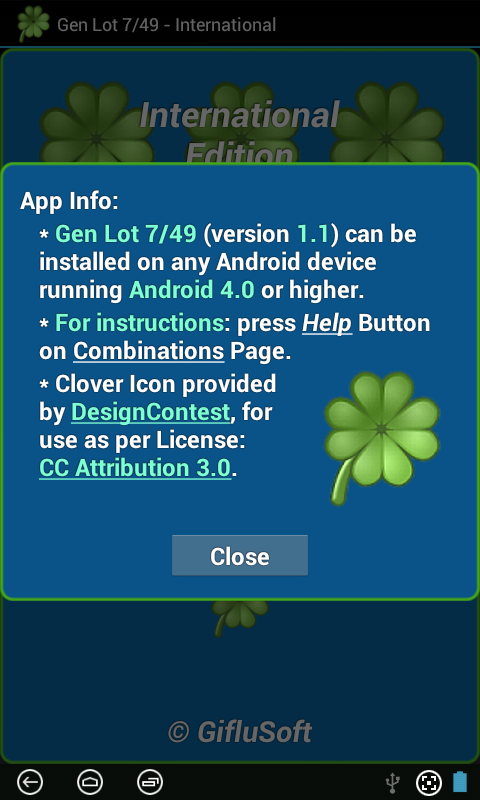 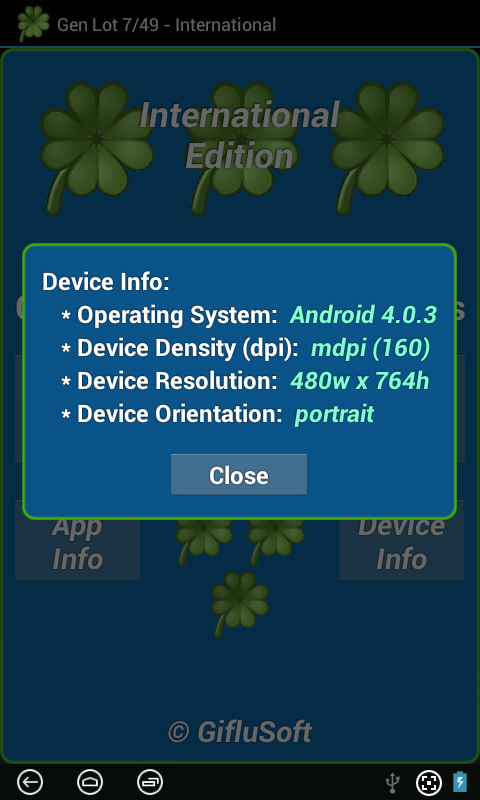 Version 1.1 can be installed on any Android device running Android 4.0 or higher. Gen Lot 7/49 is easily viewed on tablets, but is also suitable for smaller devices. 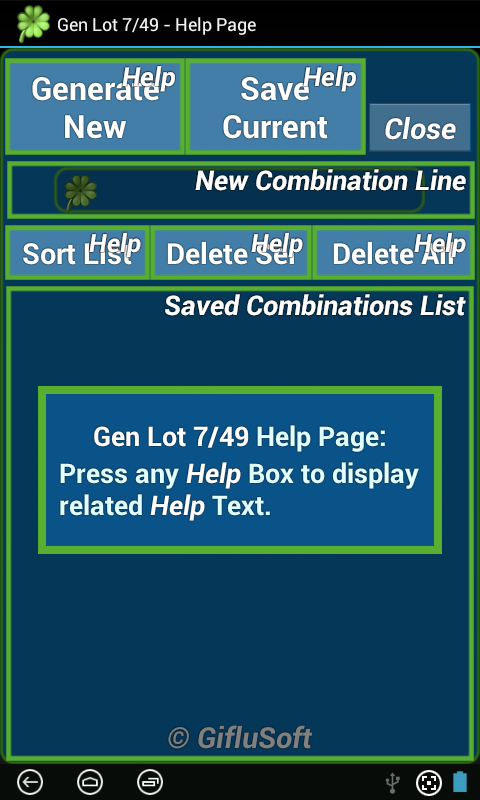 Gen Lot 7/49 is designed to use larger, easy to read font sizes, which are fixed for any given device. 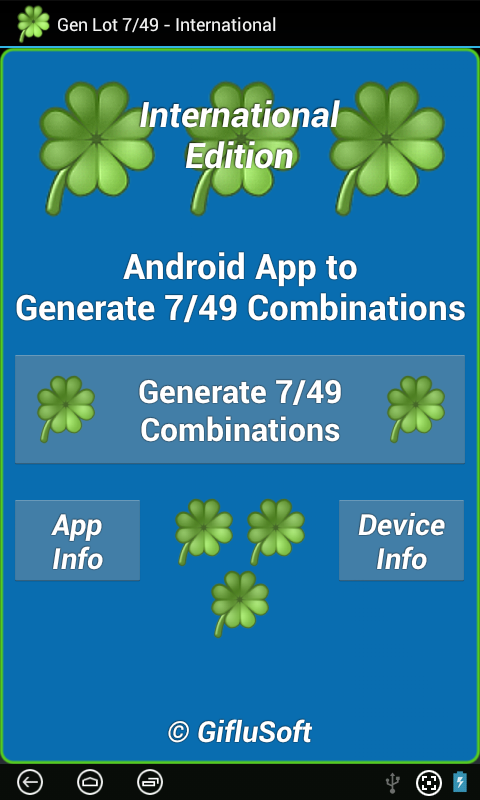 Layouts are proportional on devices of different sizes, dimensions permitting.